Every now and then, I get a craving for mermaids. Thinking that I had read all my mermaid related reads, I was surprised to stumble upon The Vicious Deep. Wanting the read to be a surprise, I decided to skip the summary and start it based on what I could remember, which was something along the lines of scary mermaids. Wrong... sort of.The Vicious Deep introduces us to Tristan, a young man who after a near-death experience with a wave discovers that he is a merman. There is a lot more to it than that, but I don't want to spoil the surprise.In the beginning, The Vicious Deep had a lot of promise. I loved that it was different than so many other mermaid books, mostly due to it being from the male POV. But despite the promise of the read, I was bored. The Vicious Deep had so many basic day to day events leading up to the big surprise / twist that I honestly almost didn't make it there. More than once, I had considered just cutting my losses and moving on. 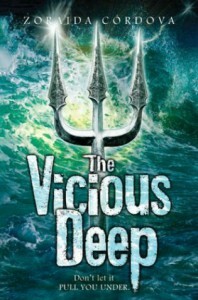 But against my better reading judgement, I decided to keep going, and was rewarded for it.As with many first books in a series, The Vicious Deep was about the foundation. Setting the story. Meeting the characters. Then, finally getting to the action. While I usually enjoy all the set up events, for The Vicious Deep, at times, it was just a struggle to get through. And to be honest, I am not exactly sure why. However, once I hit that half way point, and the action started, I was sold.Final Verdict:The Vicious Deep wasn't perfect, but there was times that I couldn't put the book down. 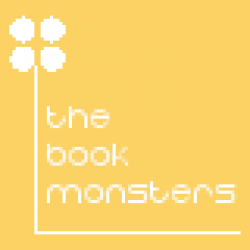 Maybe some of the issues are related to it being the first book. Maybe I am just having an issue focusing on reading lately. I don't know. Regardless of whatever it was, by the end of the read, I found myself scouring my bookcases hoping that I had book two.